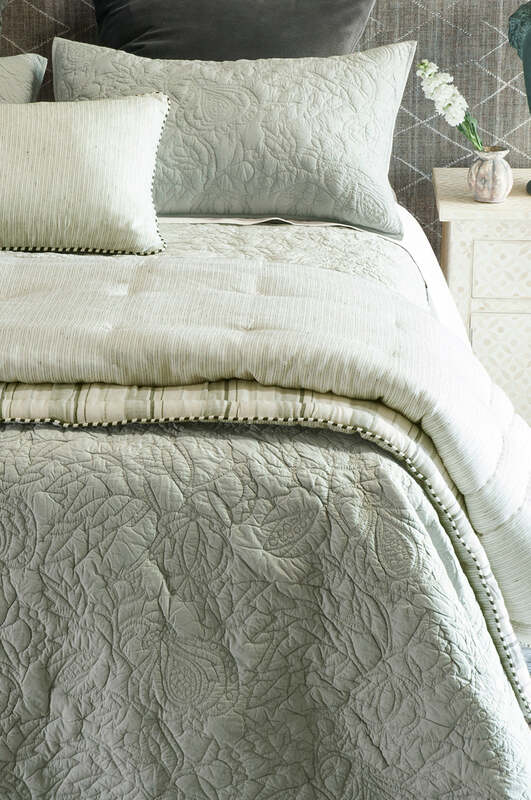 This elegant, hand-led machine quilted bedspread in a soft grey cotton showcases beautiful pomegranates amongst an allover botanical design. 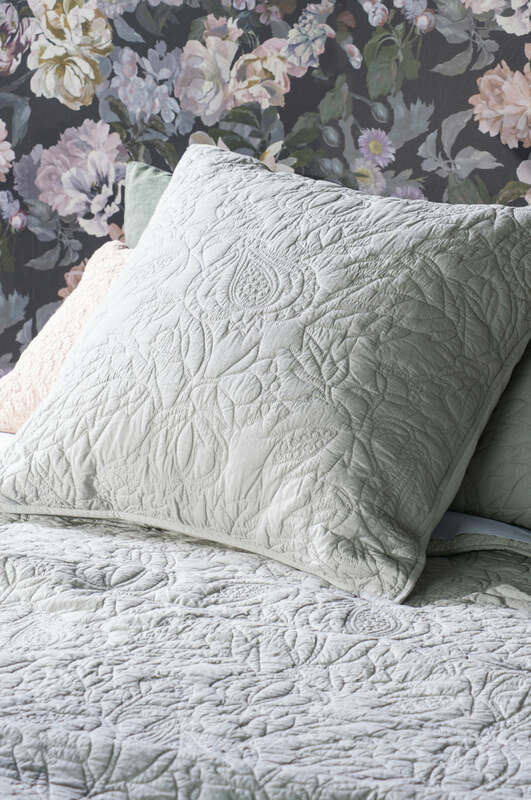 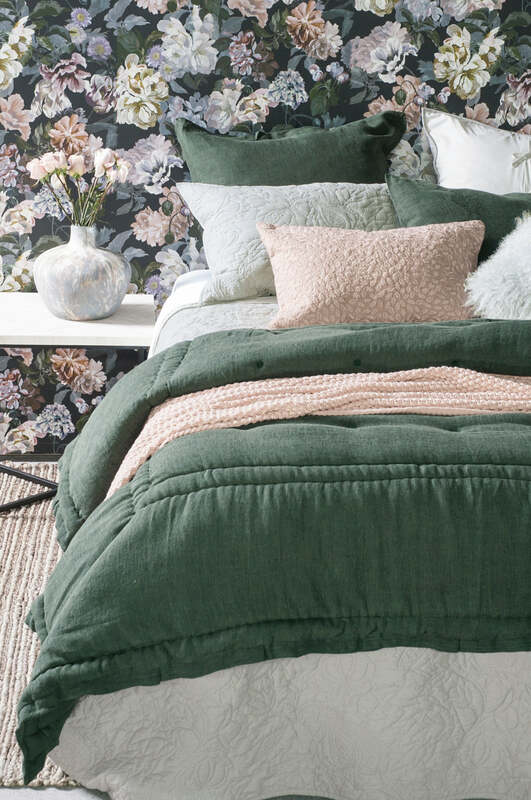 Available with matching pillowshams and euroshams. 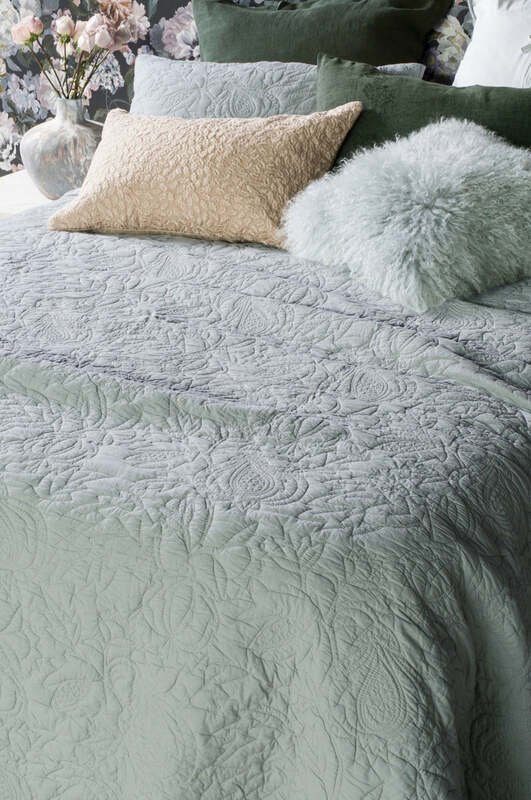 Please send me a sample of the following swatch for pomegranate pale grey bedspread.